In the 1950's, human placenta was the subject of several studies carried out in the dermatology department of Antiquaille hospital in Lyon. At this time, placenta was used in a cream, Placentor regenerating and moisturising cream, to repair the skin of serious burns victims. Dr Bernard Guillot, a passionate botanist, did much research on the placenta and discovered an equivalent substance of plant origin, Plant Placenta with exceptional benefits for the skin.Tolerated by even the most sensitive skin, this extraordinary discovery, Plant Placenta, led to the first applied phytodermatology brand: Placentor Végétal. Based on gemmotherapy - phytotherapy based on buds - Plant Placenta draws its effectiveness from the essential nutrients (amino acids, peptides and mineral salts) found in plant tissues in native form. 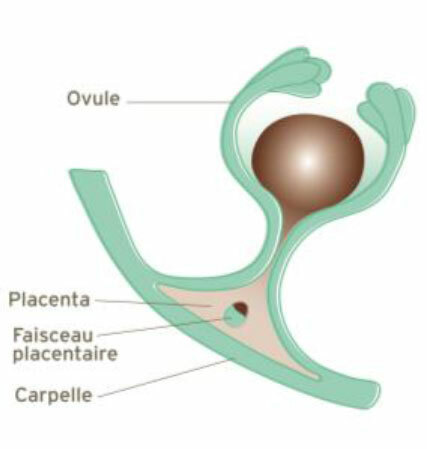 Located under the pistil in young plants, Plant Placenta acts as a nourishing liquid, feeding the fruit as it grows. It has been proven in vitro that cells are stimulated in presence of Plant Placenta. They consume more oxygen, allowing them to synthesise more proteins (such as collagen or elastin).In particular it has a very high proline/hydroxyproline content, an amino acid pair which plays a major role in the collagen synthesis process. 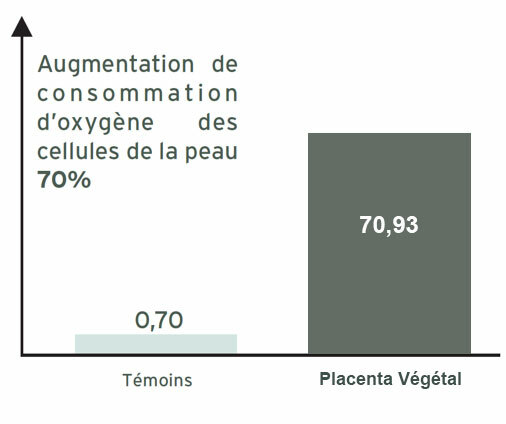 In 2012, a new study was carried out with the aim of assessing the repairing effect of the Plant Placenta in Placentor Végétal skin care. The TWL (transepidermal water loss which is an indication of the skin's barrier function) was measured at the skin's surface and it was significantly demonstrated that skin care products containing Plant Placentor have a repairing effect on the skin after 2 days.